Shimano Tiagra rods and reels & Penn International rods and reels. We provide light refreshments on board. Including beer, soft drinks and water. We have an onboard bathroom and dining table. We recommend a packed lunch, however BBQ can be provided upon request. Please note that fishing must be stopped in order to use the BBQ. Having lived in Mauritius off and on for the last 10+ years, I have centred my Fishing Charters on Sportfisher. I have caught some great fish with these guys, including a Grander Blue Marlin - 1209lbs back in 2008. The boats are very well equipped, well maintained, impeccably clean and the crews are great professionals, and really know how to coach new anglers as well as the more experienced, and there are no safer pairs of hands when you have a big fish by the boat. All the crews are good, but I mainly fish with Paille en Queue 1 or Curtis on Paille en Queue 2. My first time of deep sea fishing, my husband's treat but I joined him to take the photograph of that catch. Little did I know I would end up landing the fish. He started with catching a Dorado and after that we landed 12 skip jack tuna of which I bought in 2. The crew were fantastic working hard on the 5 reels to make sure the fish landed. We did see a glimpse of a Marlin but I am glad to say that was the one that got away. From swimming with dolphins, sundowner trips and day-time excursions. 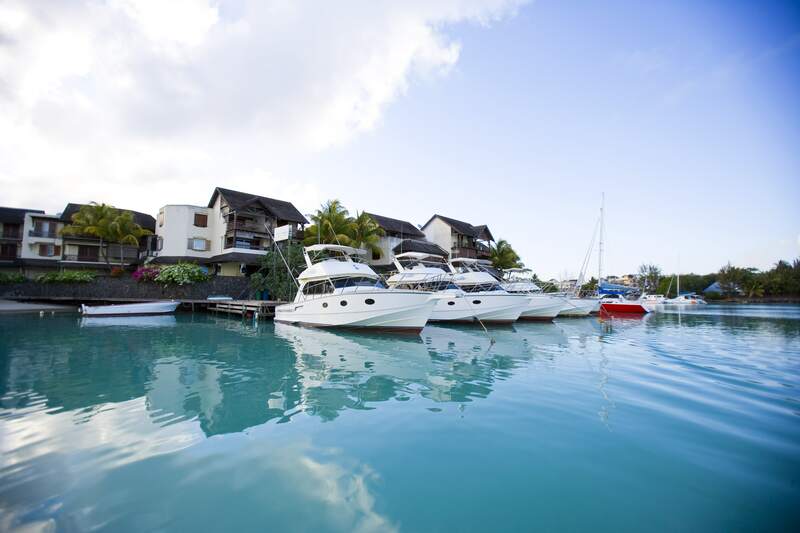 Catamaran Tours to Ile aux Gabrielle and adjacent islands. Luxury Monohull Charter Services for the experienced sailing aficionado.